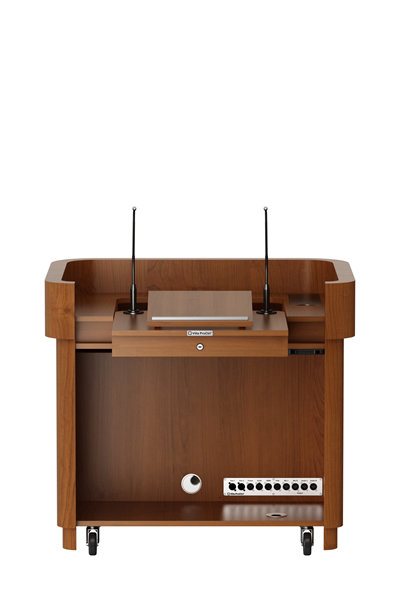 Isert is the new flagship of Villa ProCtrl within the collection height adjustable lecterns. 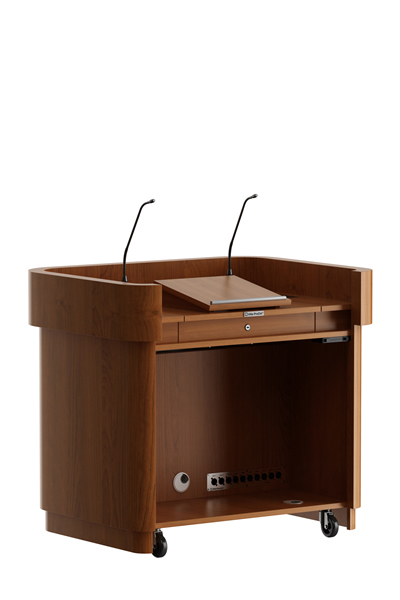 Isert is a new design based on the success of the Spietz model. 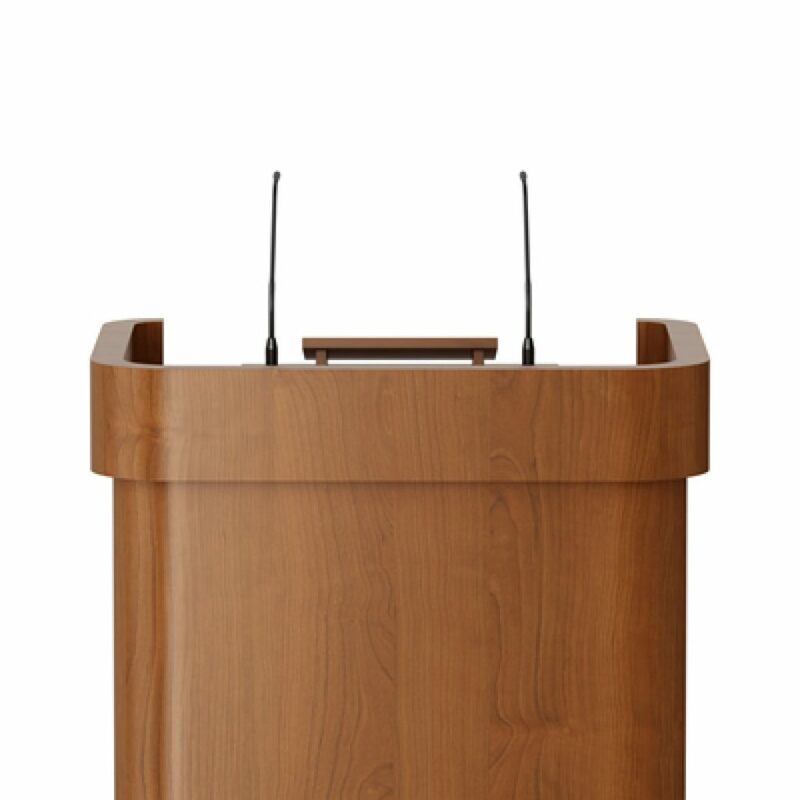 The lectern Isert has more curves in the design. 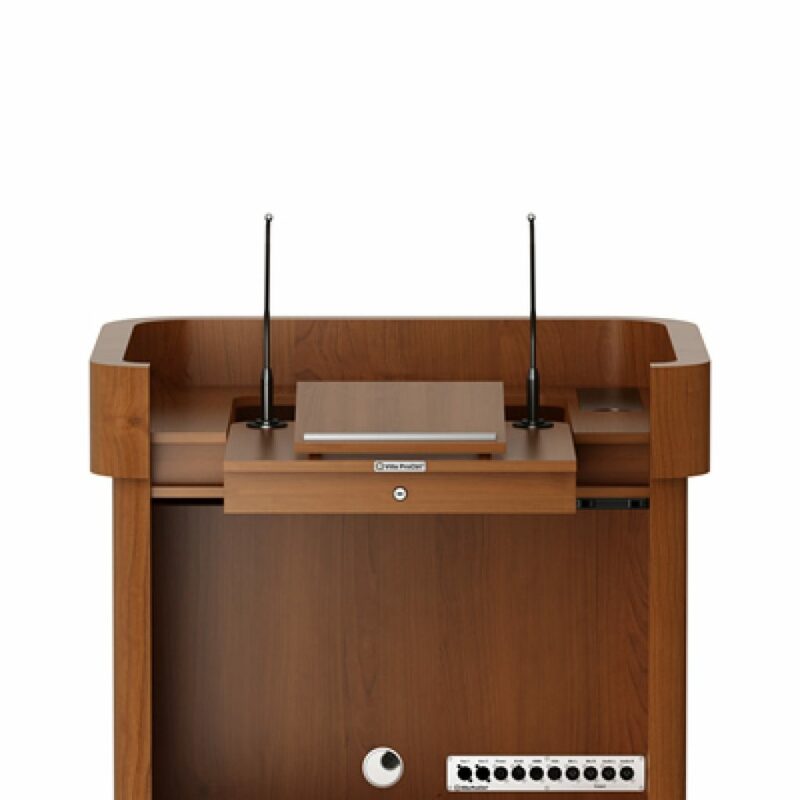 Just like Spietz this lectern has electric control for the height adjustibility. 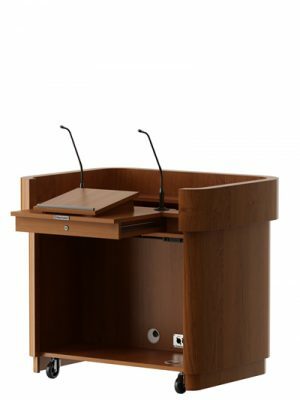 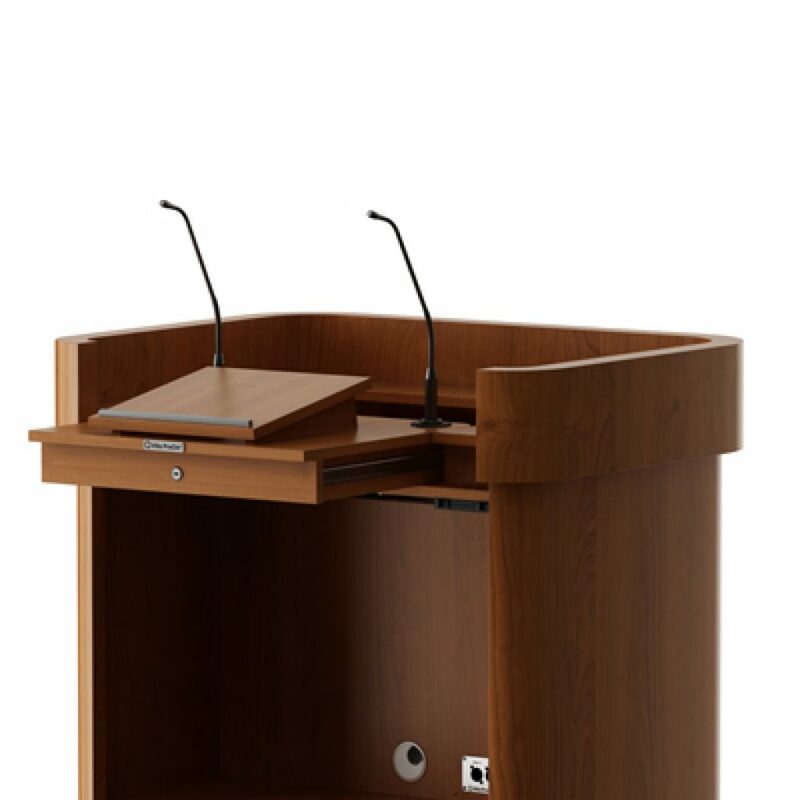 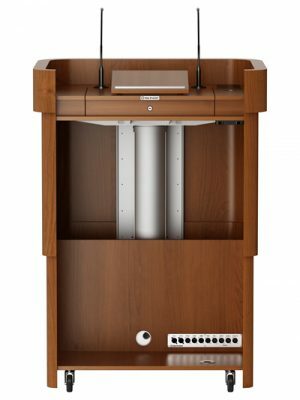 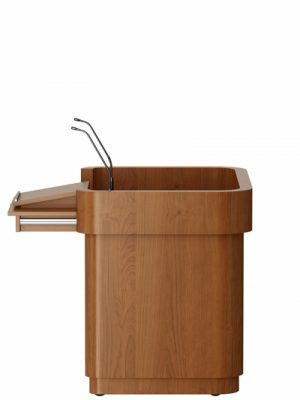 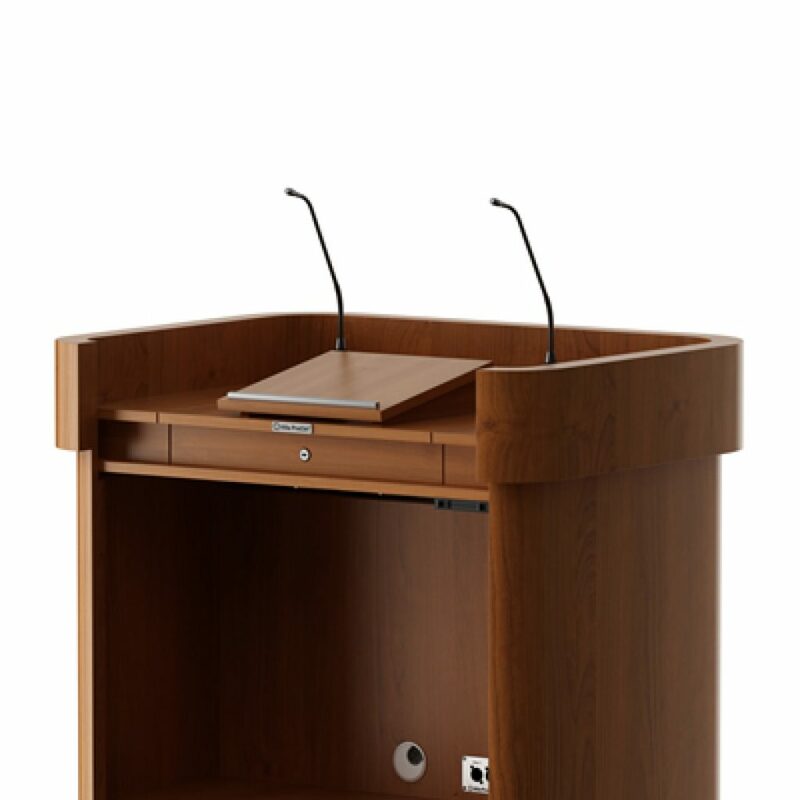 Optionally extentable with many features which make this lectern the best in the market. 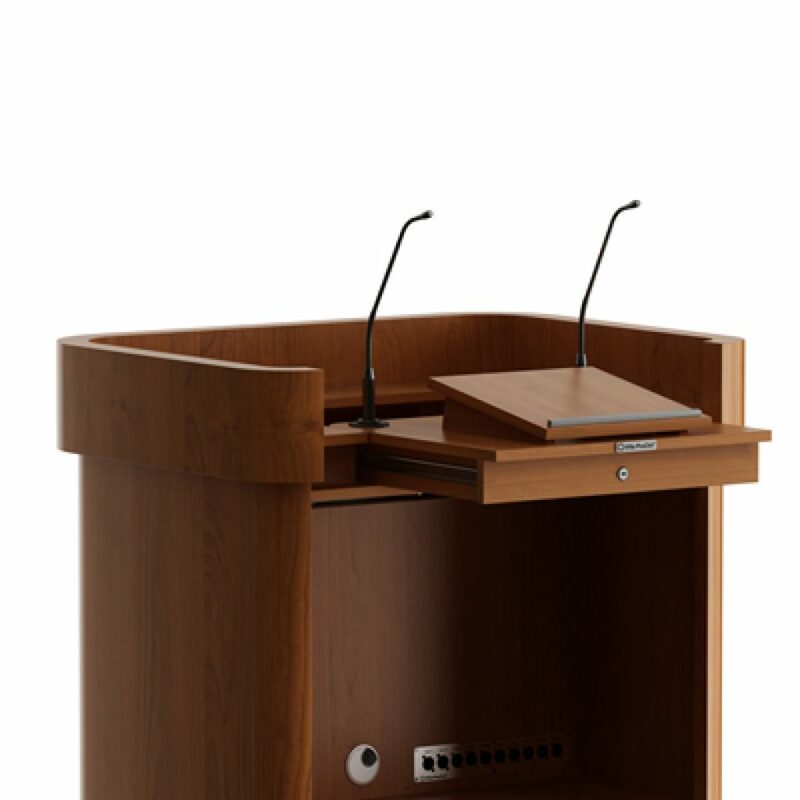 All facilities necessary for the best presentation are possible. 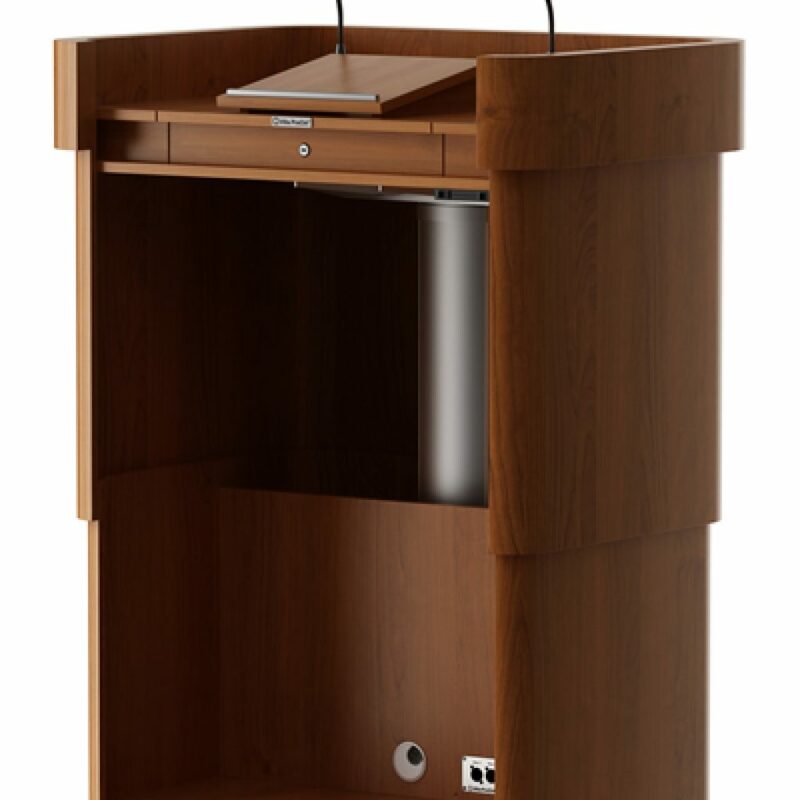 The sliding reading desk makes a presentation from a wheelchair possible because the microphones and reading light slide along. The extensive cable management in the top has connections for your laptop or tablet. 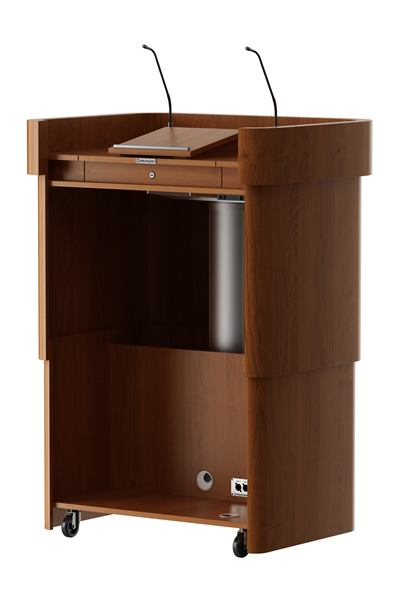 An additional power socket ensures the continuity. 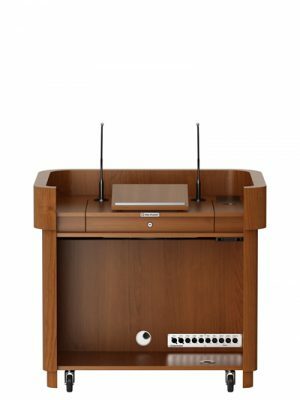 RJ45 offers a reliable ethernet connection. 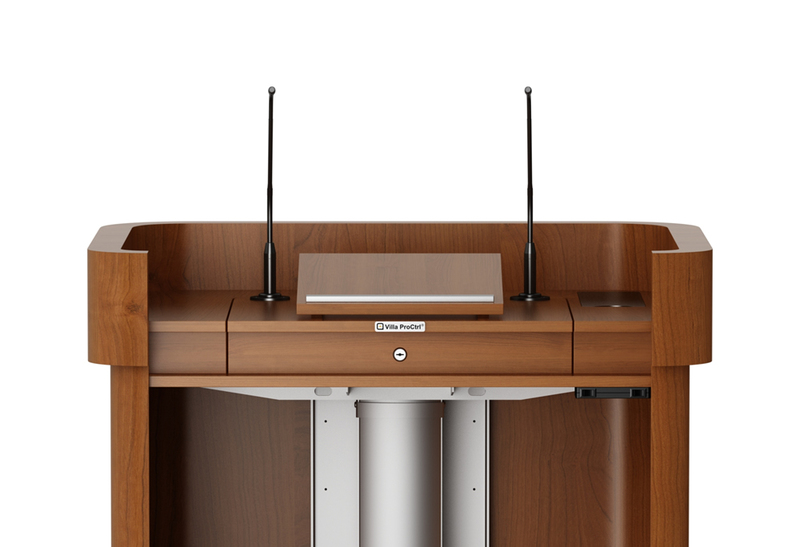 The 3,5mm audio jack for the audio signal passes internally through a DI to come out balanced on 2x XLR on patch panel at the bottom of the lectern for an interference free sound transmission to your PA. 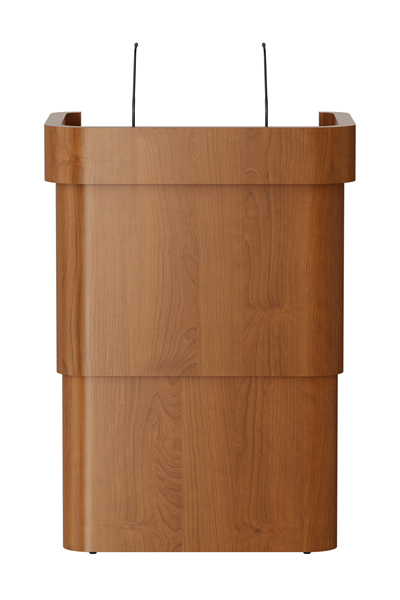 The finish of the colours en materials is entirely to match the atmosphere of your interior. 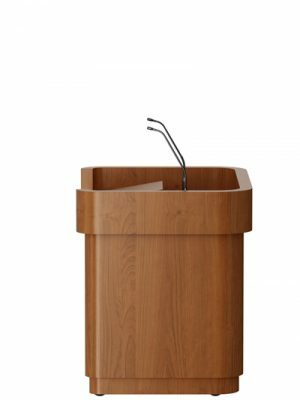 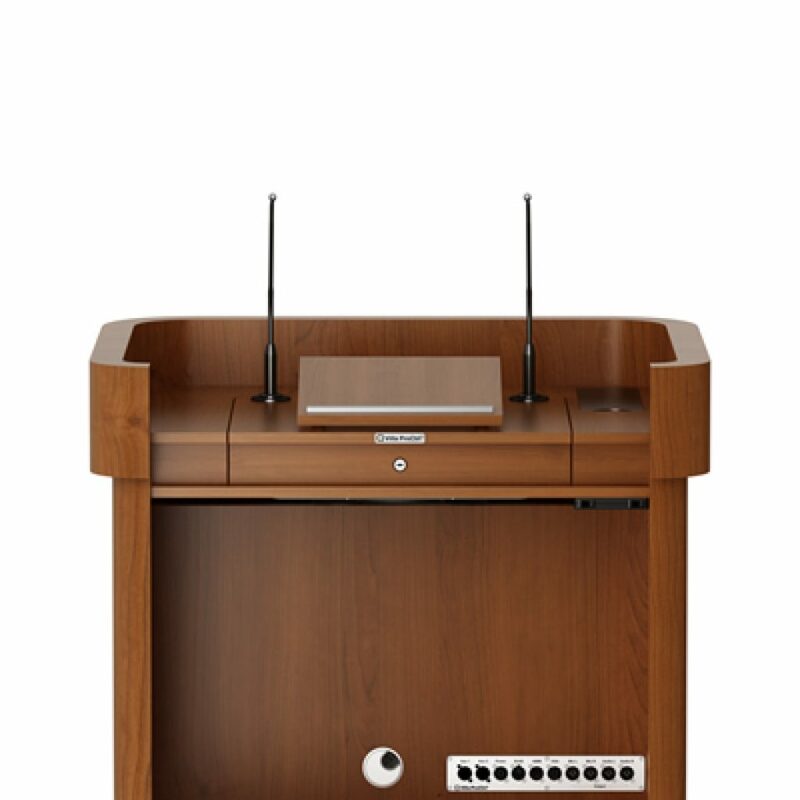 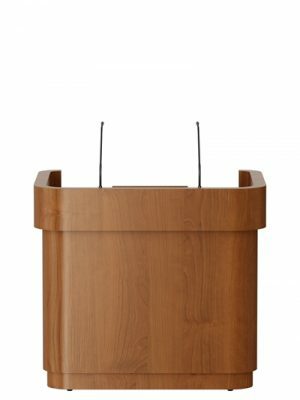 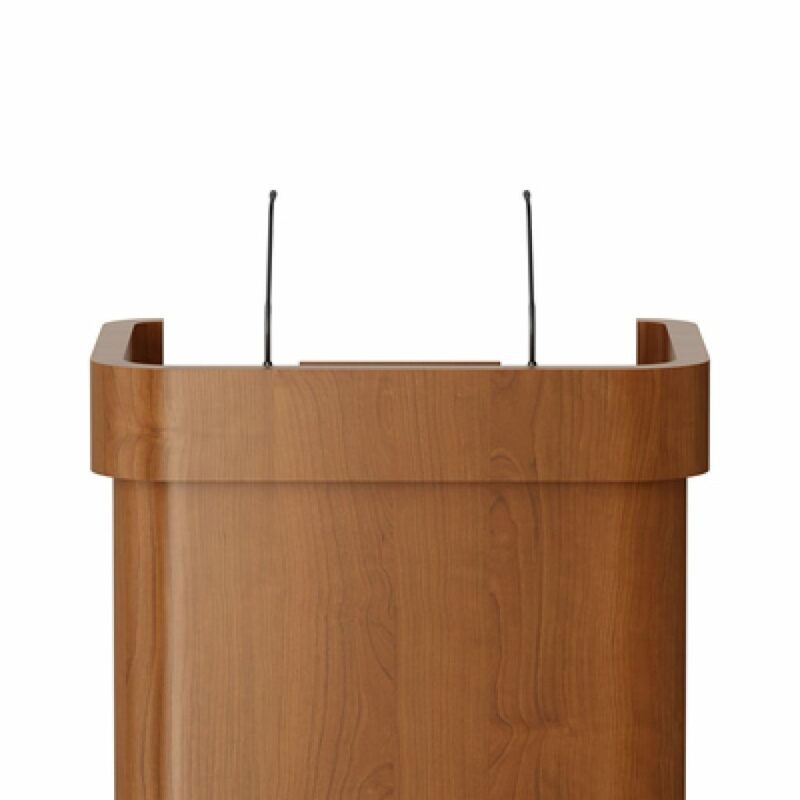 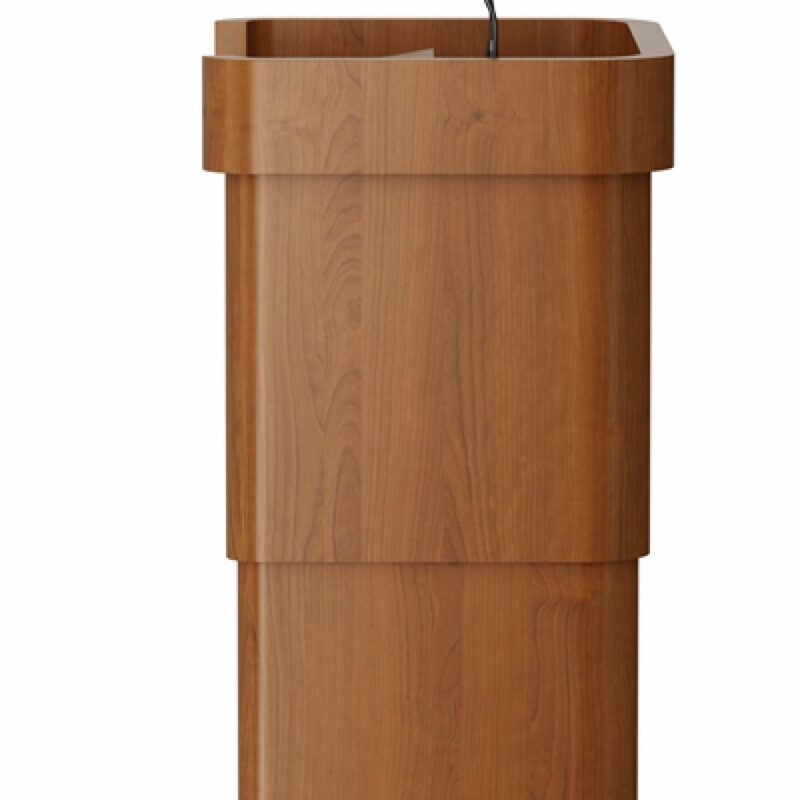 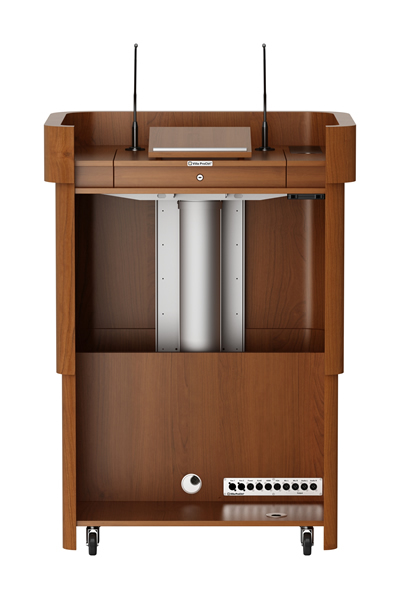 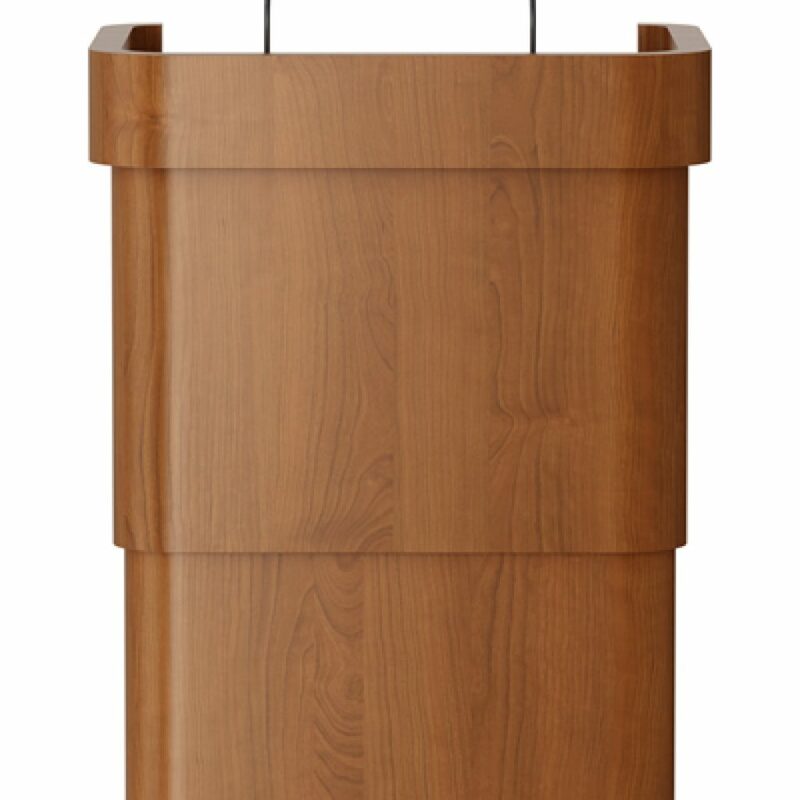 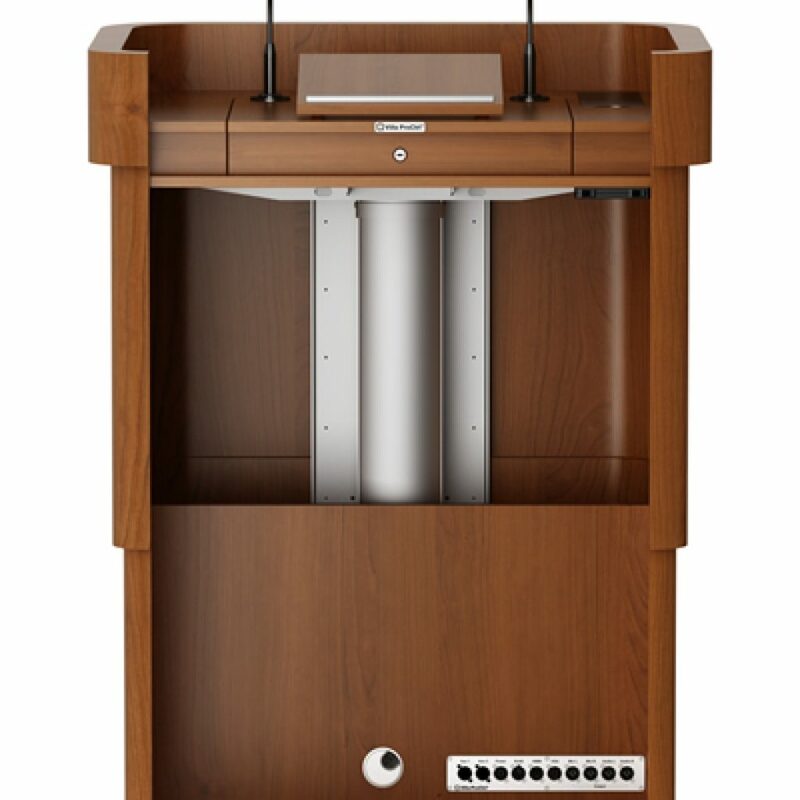 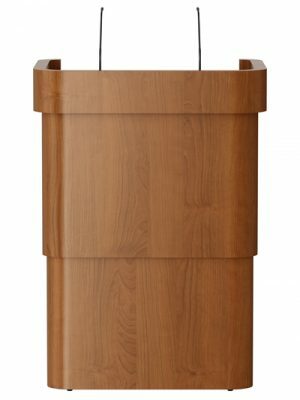 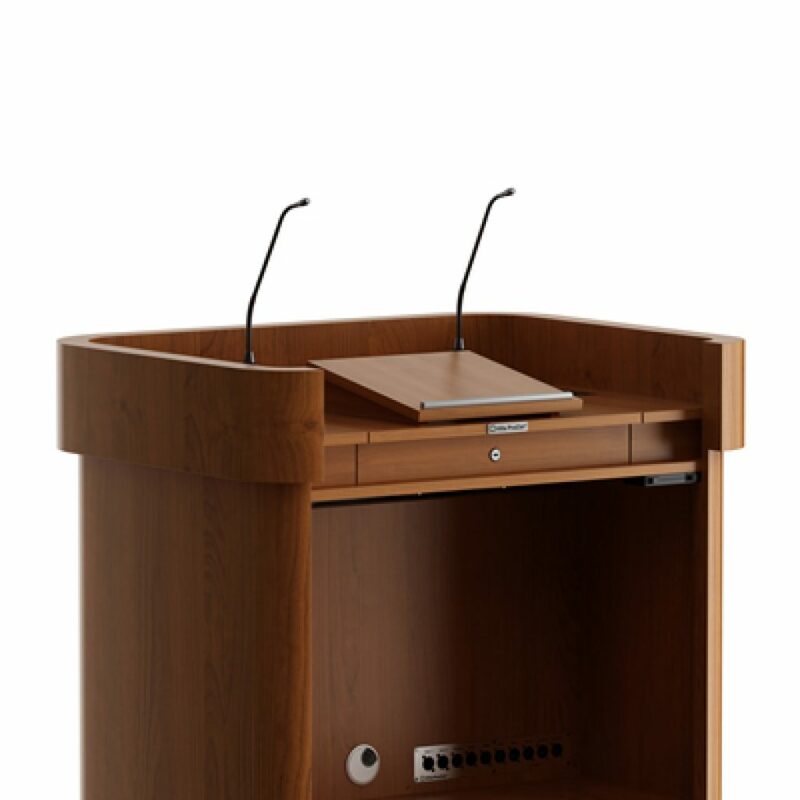 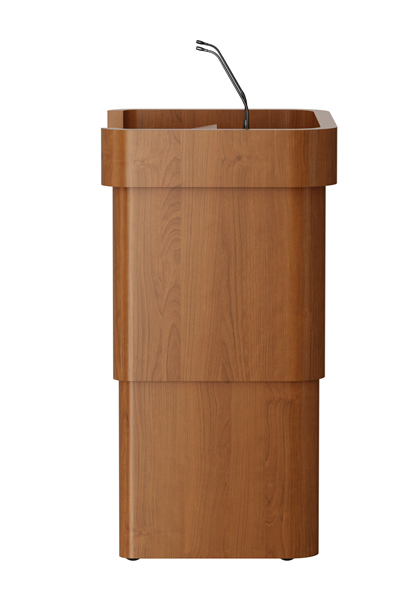 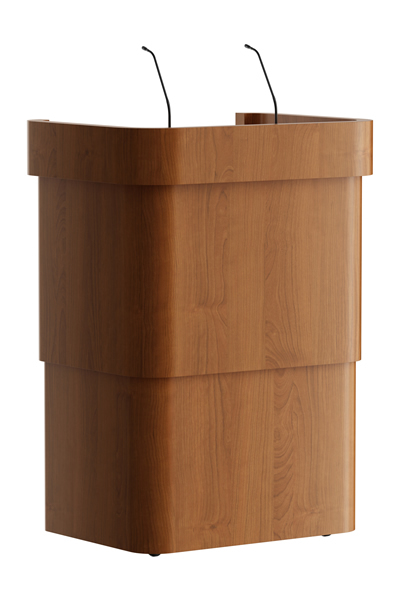 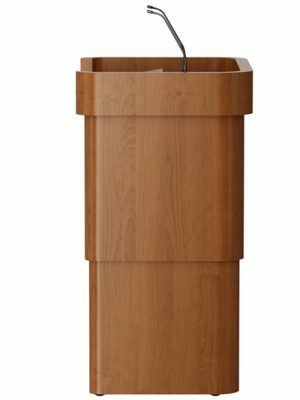 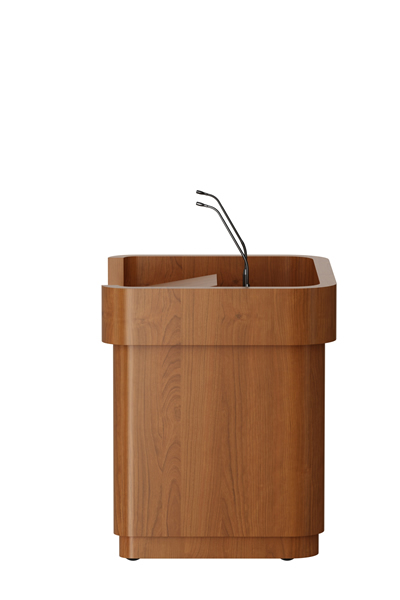 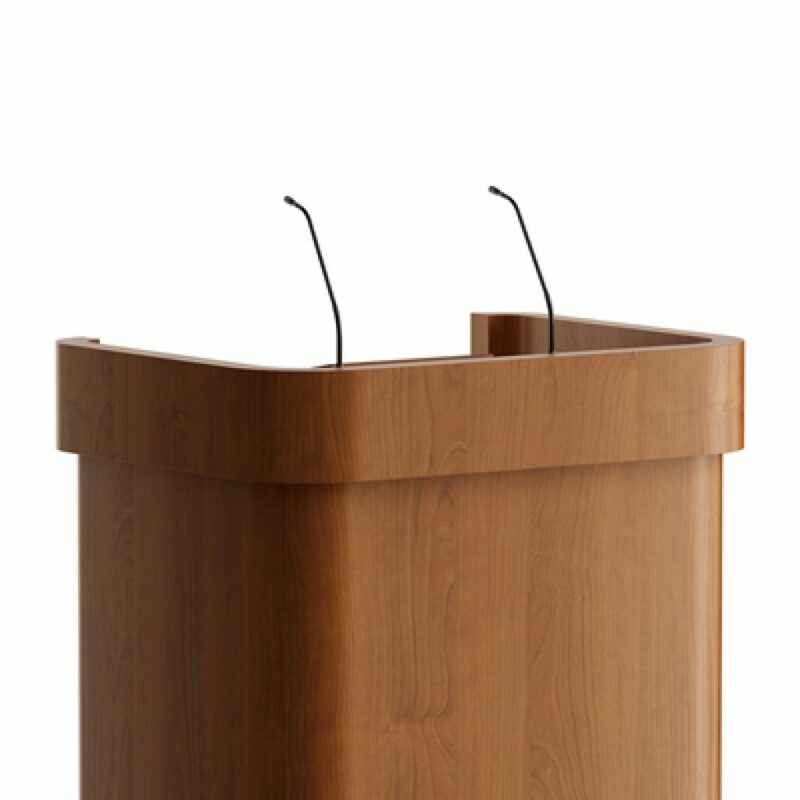 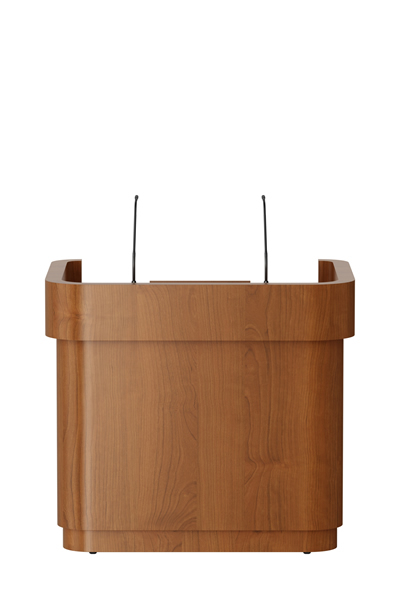 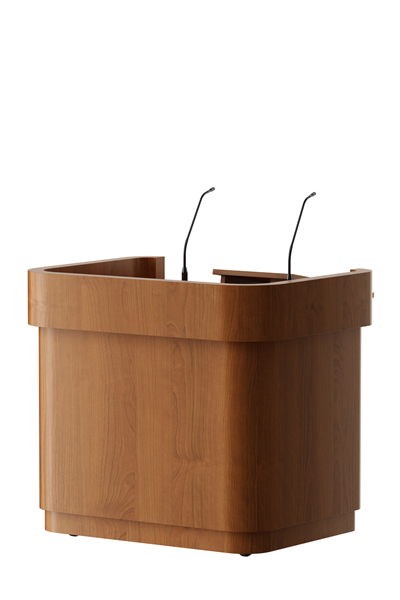 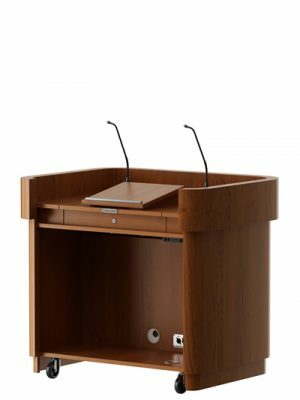 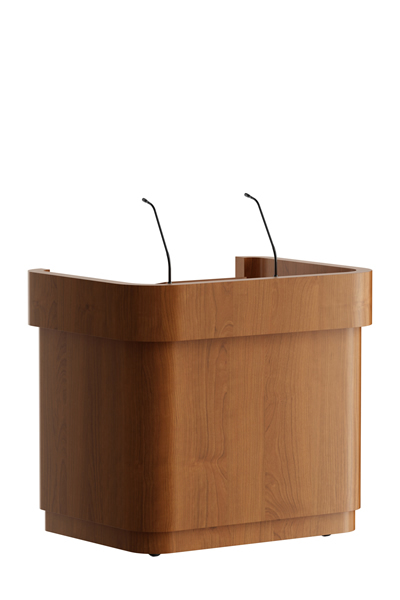 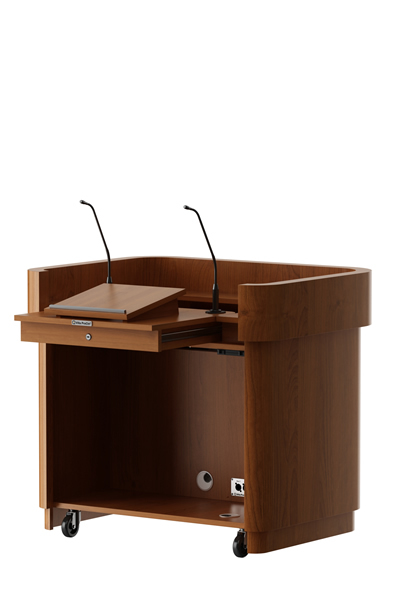 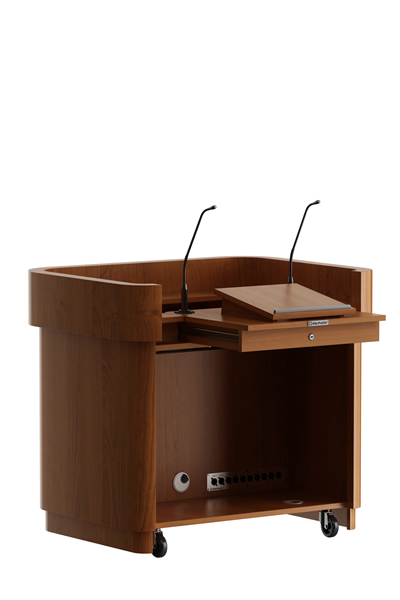 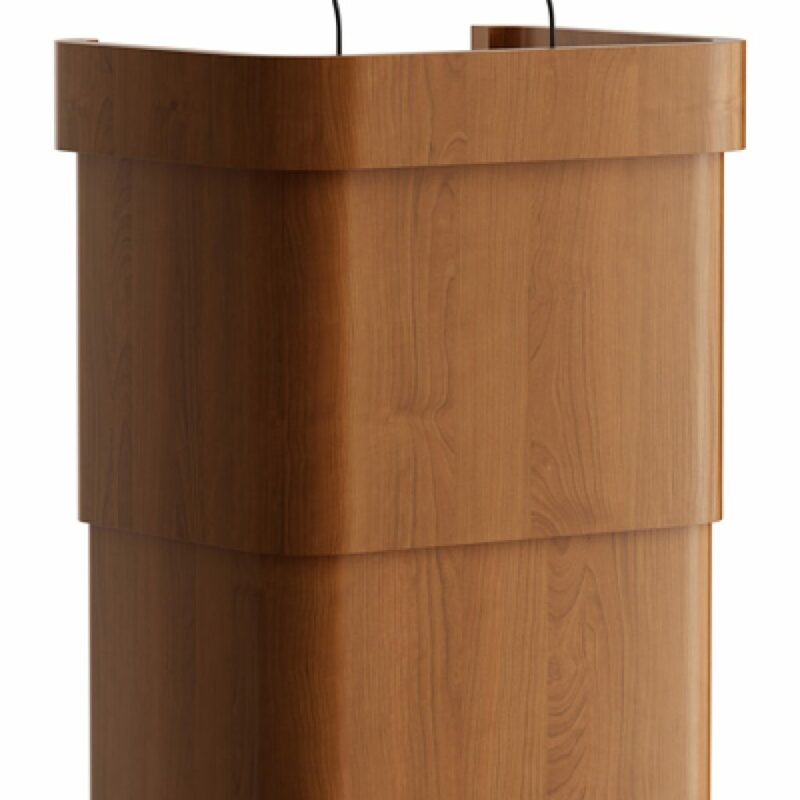 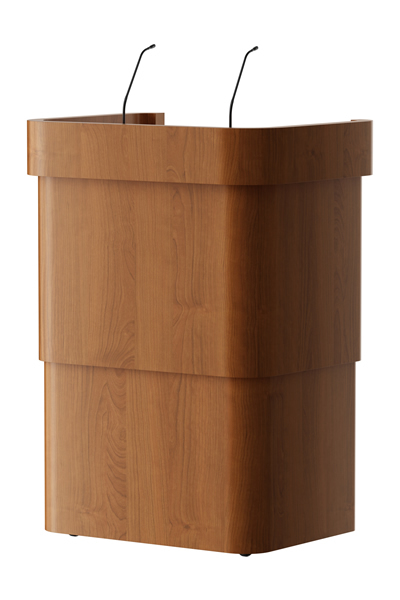 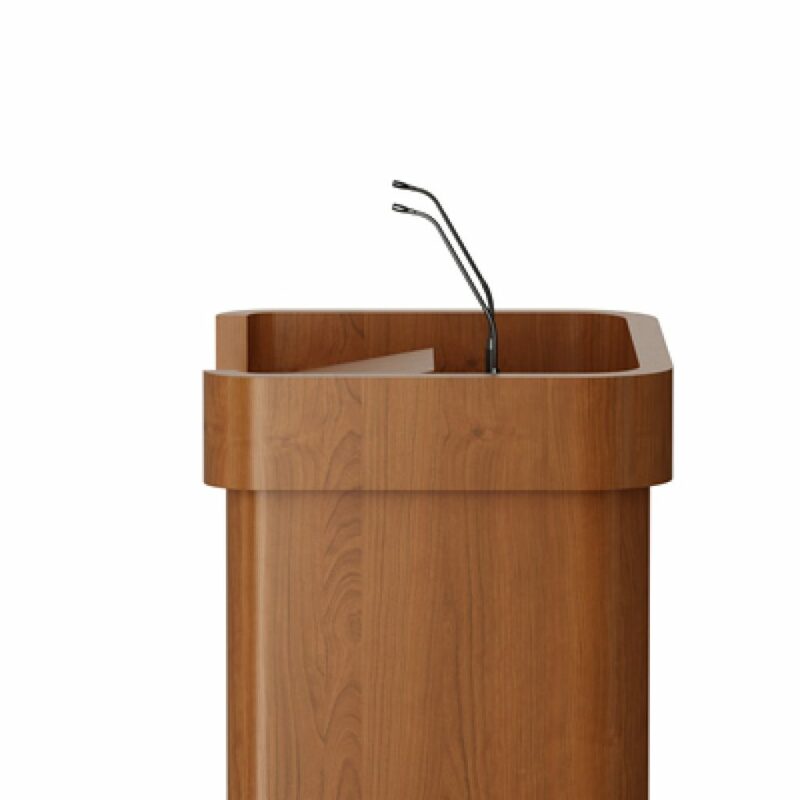 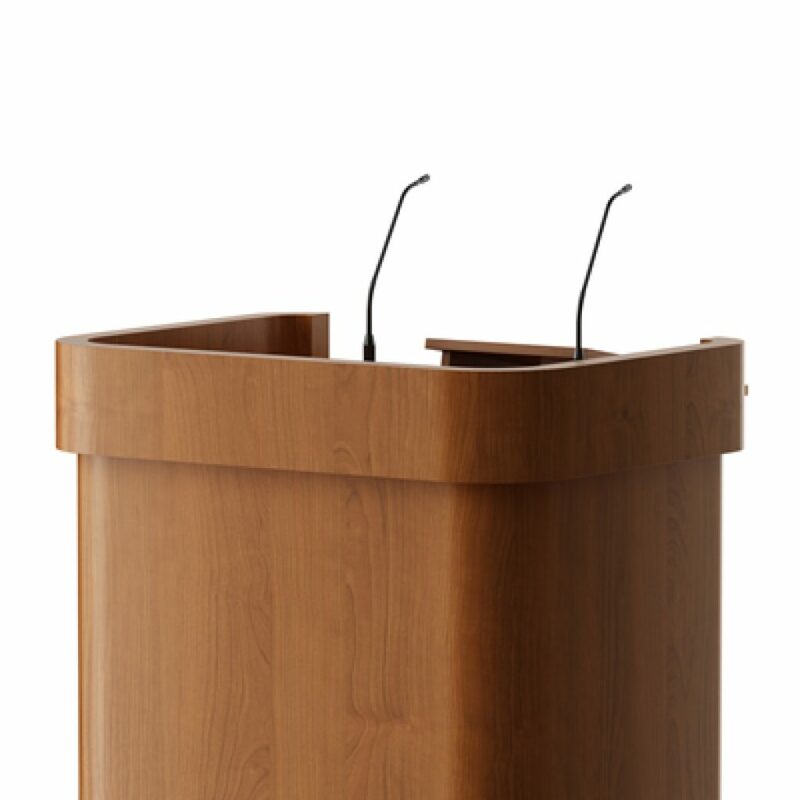 With your logo this lectern is a pleasure to look at for the public and for the speaker. 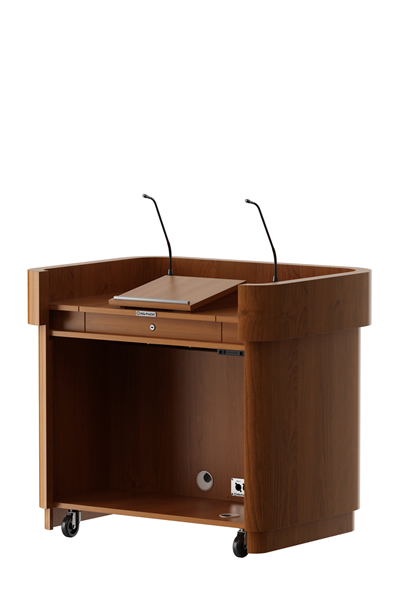 All lecterns are Dutch design made in The Netherlands. 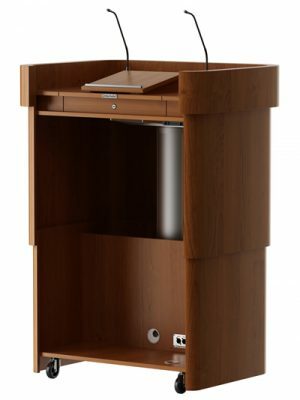 Various colours and combinations in HPL available.